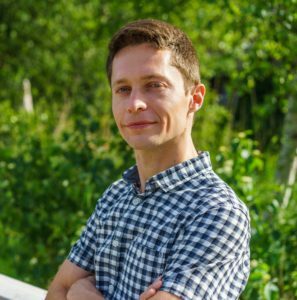 We are happy to announce that from October 1st 2018 Ilya Markov joined the AI for Retail Lab (AIRLab) Amsterdam as Scientific Lab Manager. Markov has also been appointed as Assistant Professor at the Informatics Institute, University of Amsterdam. His work at AIRLab – a joint UvA-Ahold Delhaize industry lab – will consist of supervising multiple workstreams and PhD students and exploring new scientific opportunities within this collaboration. In his new role as a lab director, he will conduct research into socially responsible algorithms that can be used to make recommendations to consumers and into transparent AI technology for managing goods flows. This research will take place at Albert Heijn and bol.com, both brands of Ahold Delhaize. Markov holds a BSc and MSc, with a major in Computer Science and Software Engineering and a minor in Mathematics. He got his PhD (2014) at the Information Retrieval Group from the University of Lugano (USI) on the topic of uncertainty in distributed information retrieval. After that, he became a postdoctoral researcher at the Information and Language Processing Systems group (ILPS) at the University of Amsterdam (UvA), where he worked on user behavior models and algorithms that learn from users in information retrieval. Markov has been extensively involved in supervision of undergraduate students and PhD students and gained industry experience by collaborating with companies such as Yandex and JetBrains.